Paytm Refer and Earn Program - Paytm has already given a lot of cashback offers to their users. Most of them were in form of getting cashback on Daily Essentials on Paytm Mall. Now Paytm has brought the new referral program that is Paytm Travel Buddy Refer and Earn Program. In this Refer and Earn Program of Paytm.You will get 250 Rs per invite to your friends. You can earn up to Rs. 2000 per month. In this "Refer and Earn Offer of Paytm" you will be given a unique "Invite Code". If your friend uses this Invite code to book their first ever Flight Tickets or Bus Tickets then they will get instant 10% and 20% respectively. Paytm Refer and Earn offer is valid for both Old and New users. This Offer is applicable only on Flights and Bus bookings. If you travel a lot then this Paytm Referral Program is only for you. You can take the advantage of this "Refer and Earn Offer". How to avail this offer? To avail, this offer is very simple when your friend uses your Invite code to book their Flights then they will get up to 5000 Rs cashback and on every successful journey, you'll get 250 Rs Cash on Flight and 50 Rs for Bus Booking. Since "Paytm Refer and Earn Offer" is only applicable for earning cashback for your traveling pursuits. 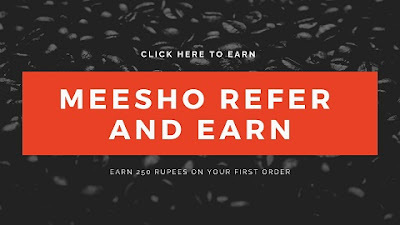 So you can use this referral program of paytm to earn cashback on your traveling whether you are using any transport mediums which come under to this offer program on which Paytm is liable to give you Cashback of worth 250 Rs per invite to your friends and you can earn up to 2000 Rs monthly by using this offer. How To Get Paytm Invite Code and Earn 250Rs Per Referral? Go to the Flight Option Section. There you'll see the Banner of "Get Rs.250 Cashback on Every Invite". Now Click on it. You will see something like "Invite your friends". In the bottom, of that, you can see the Invite Code. Copy the code and Share with your friends. How To Apply Invite Code For Booking Flights and Bus? Click on Bus and Flight Option. Enter your Journey details of Bus or Flights. In the promo code section. Enter the Invite Code. After successful completion of your referral journey, you'll get 250 Rs cashack. Valid only When your Friend uses your Invite Code for booking Bus or Flights. Paytm Cashback will be processed as Cashback Coupons. You Can't use your referral code for bookings. So this was the post about how you can refer your friends on paytm to get cashback on booking bus and flights ticket. Hope you'll share your Invite code to your friends to help them out for their journey in order to get some cashback coupons for Bus and Flights Bookings.